Being married to a Marwari businessman, she has a vast repertoire of north Indian and Marwari dishes. Krishna Kumari’s mother-in-law taught her how to make Marwari-style daal, whose recipe is in the book. “My late husband was fond of daals and vegetables,” she says. 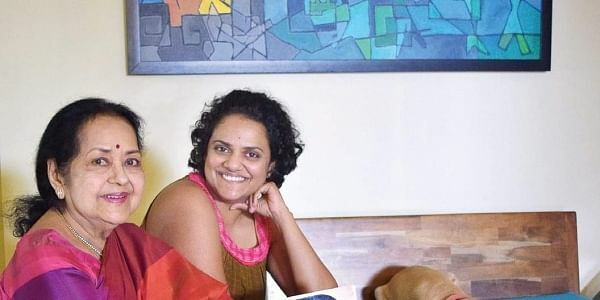 In spite of coming from an orthodox vegetarian family, Krishna Kumari developed a taste for chicken and fish, and has her own tandoori chicken recipe. Being Telugu, however, she always tried out lots of typical Andhra dishes such as Gongura pachadi, mirapalla karram (red chilli chutney) eaten with hot rice and ghee, and avakai pickle (raw mango), which are in the book. Every recipe has its own tips. Krishna Kumari says that before transferring the pickle into a storage jar, rub its base with two tablespoons of sesame oil and one tablespoons of salt. This will serve as an additional preservative. Recipes in the Illustrated Weekly inspired her. The Rajesh Khanna Omelette is one such, with flavoured tomato paste and grated cheese. She also cooked dishes she ate while travelling the world. “I loved French onion soup, and through trial and error I came up with a simple recipe,” she says. Her caramel custard recipe is simple and well explained in the book: while caramelising the sugar, add one tablespoon orange/lemon marmalade and mix in for a tangy summer flavour. The book is published by Maiya Publishing and is priced at Rs 3,000.